Tonight I present a little eye candy! Some of these are on the web site now, and some will be tomorrow. Enjoy! 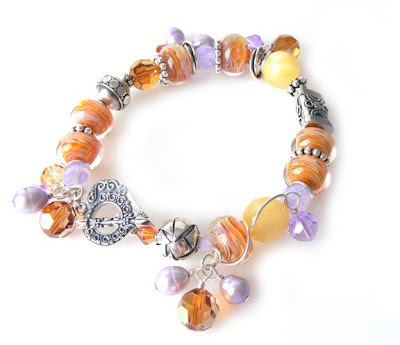 Visit me at www.lorianderson.net and see more! So what is this, you're asking? Why, it's the Start of Something Big! 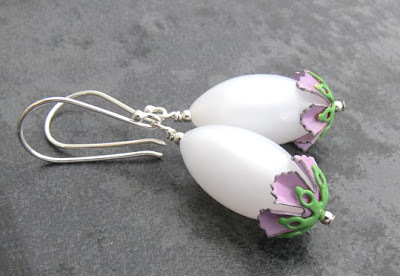 Ever since I discovered artisan lampwork, those incredibly detailed works of art, I've been fascinated by them and they've become an integral part of my jewelry designs. They're not made in factories, but one at a time using a torch and rods of glass. And, I was officially hooked. Renting torch space in a bead shop was rather prohibitive, because the closest location was an hour's drive in any direction. The solution? My own glass studio. We already had a huge wooden shed in the backyard, and over time we've cleared out a lot of junk (Goodwill now officially loves us), and just last week, I had electricity installed. 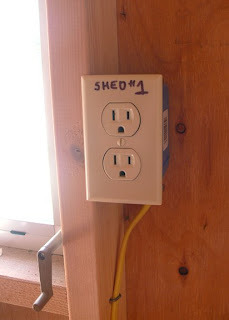 Thus, the picture of a wall socket. I'm very excited! It's been a long time coming, and I still have more to do to get completely set up, but the electricity installation was an enormous first step. All of my lampworking equipment has been collected over time and has been languishing in boxes in my office, and let me tell you, I'll be glad to get all that out from underfoot! I'll post more photos as things progress! 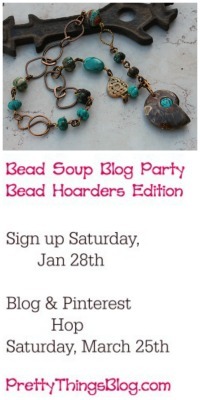 Attention Jewelry Designers! 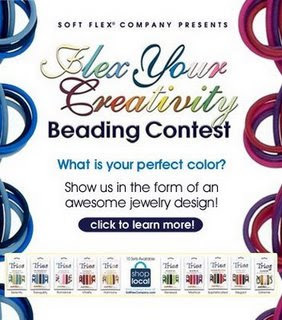 Soft-Flex Beading Contest!!! In 2006, I had the honor of being put in Soft-Flex's Designer Spotlight. 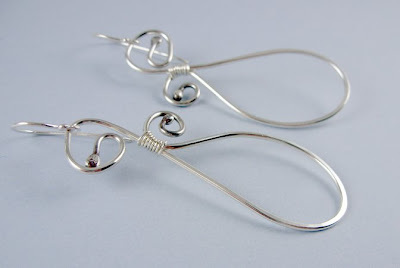 I love their beading wire, and have bought it by the 1000 foot spool! 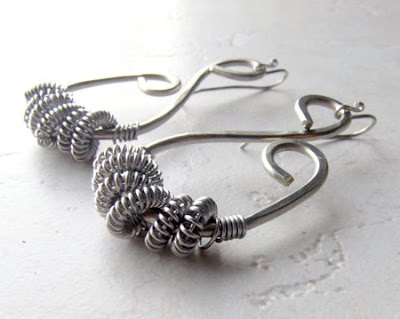 They also have the BEST cutters for beading wire out there (did you know that over time, you'll ruin your cutters after cutting through all that stainless steel?). 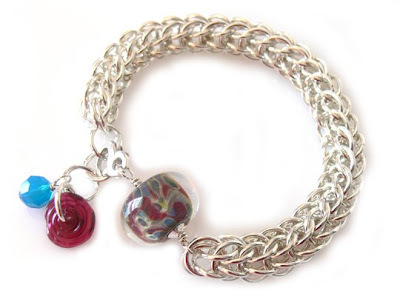 They also sell kumihimo equipment, WigJigs, and wire knitting tools as well. 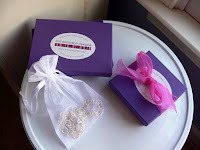 There's even a give-away prize if you blog -- learn more about that by clicking here. 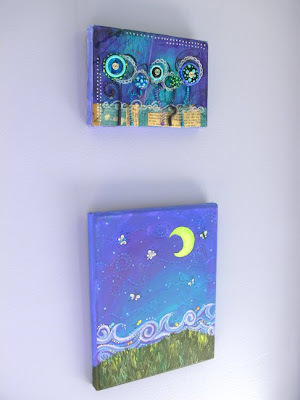 In celebration of Earth Day, I'd like to point you towards my friend's shop on Etsy. She makes reusable shopping bags out of recycled rain coats! 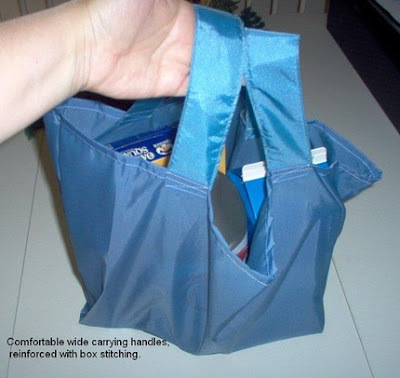 You get two bags (which fold up nice and small) for 10.00. 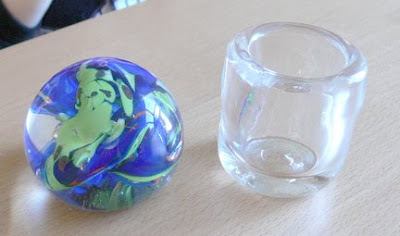 They're machine washable, and it's one of the coolest examples of recycyle and reuse I've ever seen! 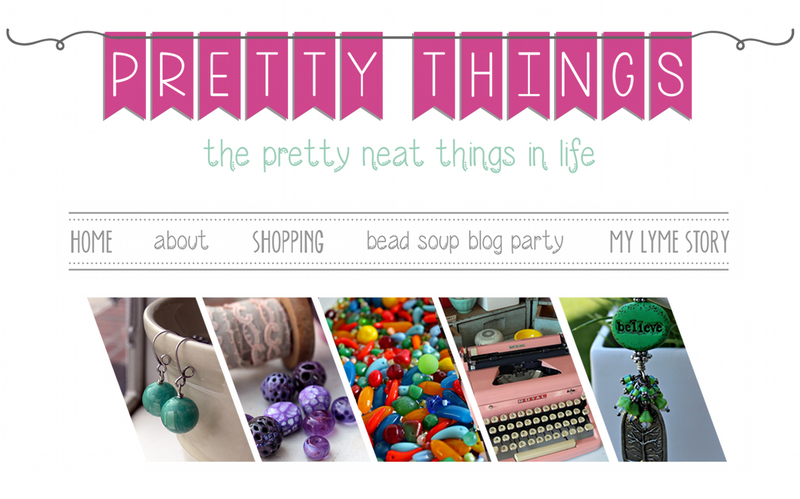 Her shop has a variety of cool things, so click here for her main shop. You can be a friend to someone you don't even know. Random Acts of Kindness are perfect ways to show the human race that you're not just in it for yourself, but that you want to pass along a little of the joy you have. One of my dearest friends, Allegra, is trying to help another friend raise money for a life-saving operation. If you click here, you can read more about it on Allegra's site. 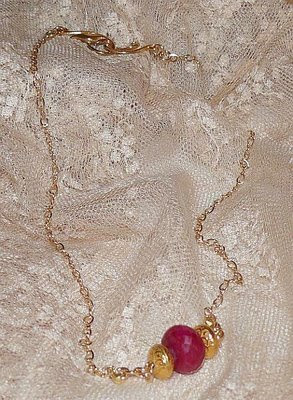 Funds are being raised towards the operation, and to that end, Allegra is offering this amazing ruby necklace. "A friend is more valuable than rubies" is more than a proverb, it is true. And thus the reason to choose a ruby to remind us all of what is really important in life." Meet Annette Piper. 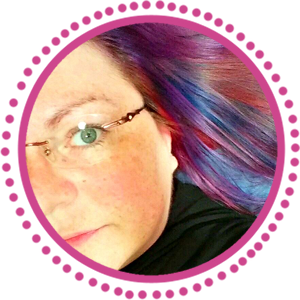 She is a fabulous jewelry designer who write a blog "Under the Loupe". 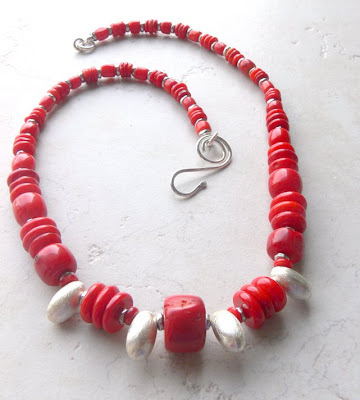 Annette is a jewelry designer with a background in gemology, and I was fascinated by her post about coral. 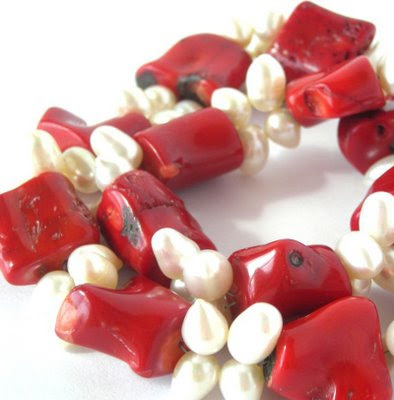 Red is always a striking color, but isn't found often in nature. 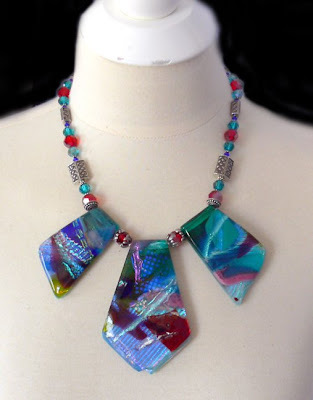 I know you'll like her jewelry and her commentary -- go take a look! 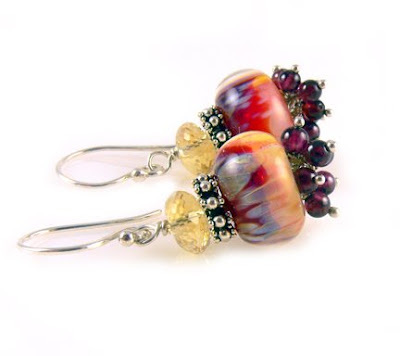 I wanted to show you these amazing earrings -- well, I love what I make, but I particularly thought these rocked! Getting all those little garnets wired to the loop under the lampwork bead took persistance (and very tiny needle-nose pliers!) but it was well worth it. The citrine is sublime, too -- the faceting makes it look like the sort of gemstone that would be set in a ring. I posted these on Facebook, and they sold within two hours. I was floored -- and honored. 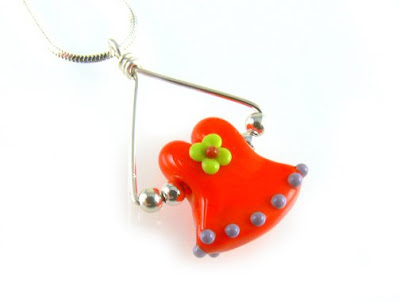 It makes me so happy when someone loves what I love to make! 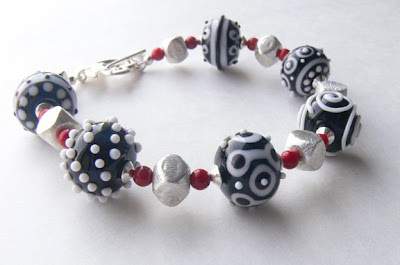 I did update even more today, so travel on over to www.lorianderson.net if you'd like to see! 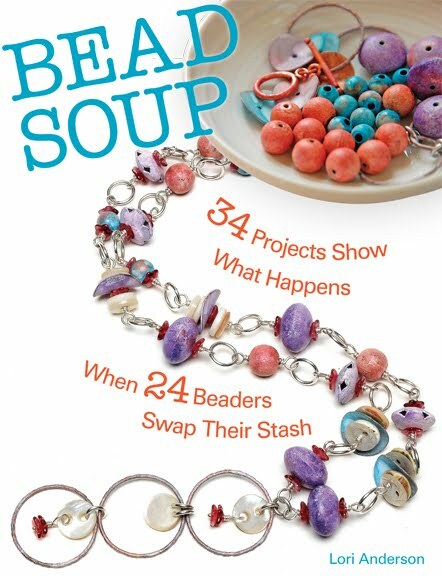 I've spent a lot of time over the past few days updating the web site, www.lorianderson.net -- I hope you'll take a look! 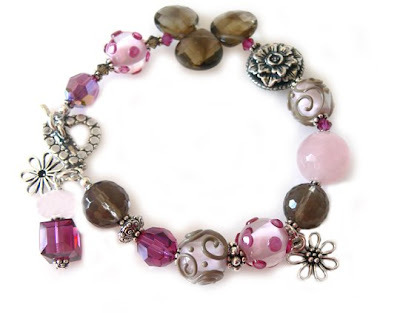 Mother's Day is really just around the corner, and don't you deserve a little something special, too? By now you've probably already seen the video of Susan Boyle performing on You've Got Talent. If not, click here. My husband came home the other day and told me I had to watch the video. I did, and I cried. I liked her immediately because her personality was terrific. And I was angered in particular by the one girl in the audience that they panned in on, when Susan said she wanted to be like Elaine Paige -- rolling her eyes and making a face. How dare she? It takes guts to get up on that stage, whether you have talent or not, and everyone has dreams, no matter what a person looks like or what their talent may BE. And the woman was humble, too -- did you see her reactionto the judges at the end? She didn't think they would praise her that way. It said she was unemployed -- I hope this show brings her terrific offers! Doing a quick blog drive-by because the house has been destroyed with all the contractors doing work -- dust everywhere and don't walk on that floor, don't use that shower, where did the cats go -- the fun never ends! 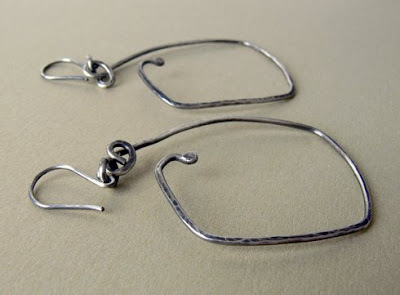 I have a new article up at Watch Me Create, about how I mixed stringing with wire work. The eye candy is great, too (if I do say so myself!). Click here to read about it! Today I asked Zack if he knew why we celebrated Easter. He's been going to a Wednesday night youth group at church so I figured he'd be well-versed. He started a rapid-fire litany of the Easter story, but I was puzzled ... he kept referring to Jesus as a "she". I cautiously said, "You know.... Jesus was a man." Zack: "But he has long hair!" I guess they missed the pronoun portion of the Easter Story. 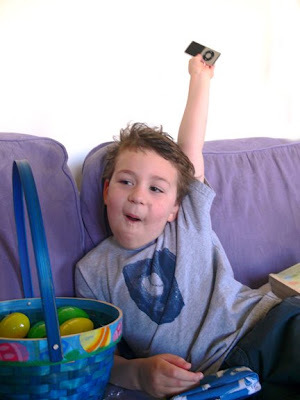 As you giggle over that, I'll leave you with a picture of Zack celebrating his new iPod. No, we did not spend that kind of money on a six-year old -- Rick won it at his office at Christmas, and since Zack already had way too many Christmas presents as it was, I saved it for Easter. He's elated that he can now watch Phineas and Ferb in silence. So are we. Ah, silence. 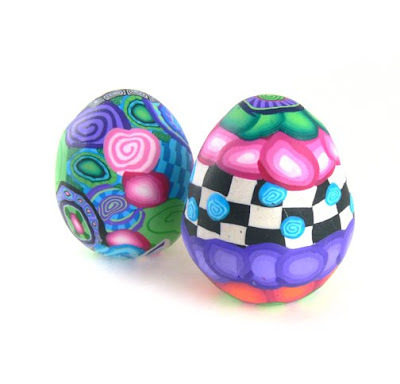 Amazing Easter eggs, don't you think? 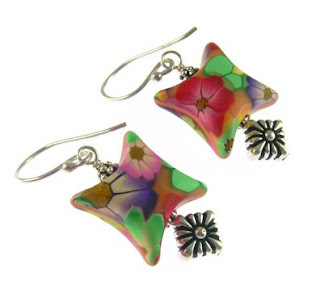 They're made of polymer clay -- I traded some jewelry for them. Zack kept the one with the checkerboard (said it reminds him of NASCAR... sigh...) and the other went to Vanessa of A Fanciful Twist, a MUST READ blog for those who love amazing photos, fairy tale stories, and general beauty. 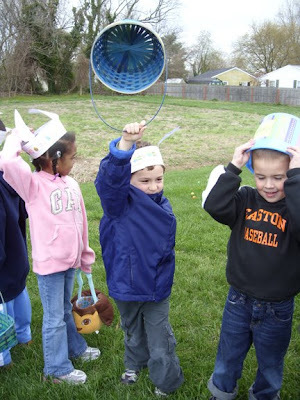 The Kindergarten Egg Hunt was the first time that Zack ever participated in such an event. 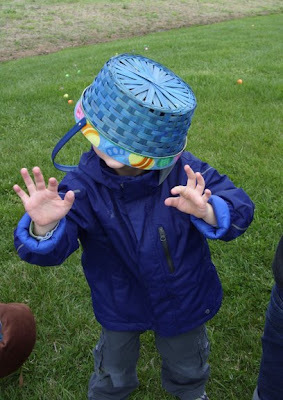 We've hidden our fair share of eggs around our own house, but he's never experienced the mass chaos and hysteria that is a large community Egg Hunt. 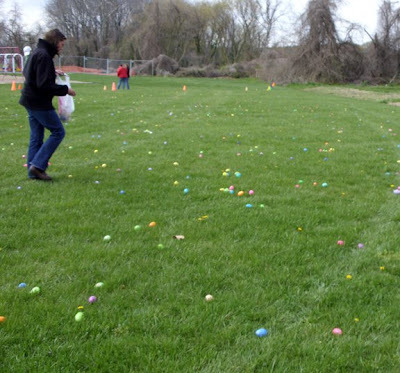 First, we had to scatter all the eggs. 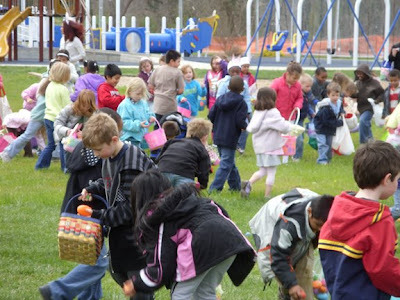 A bunch of us moms carried bags upon bags of eggs and "hid" them all over the playground. It got to the point where we were hurling them all over the place because we just couldn't walk anymore without crushing plastic. Then all ten of the Kindergarten classes trooped out and made a ring around the yard. Was everyone acting like they were already full of sugar? Oh yes, they were. And then, mass chaos. In 45 seconds, it was all over. Hundreds upon hundreds of eggs were snatched up. I was very proud of my munchkin -- and actually, proud of his entire class. Some of the kids didn't get as many eggs as others, and there was a lot of trading and giving away of eggs. Zack was a sweetheart, passing out eggs to friends. I couldn't have asked for a better kidlet. Asked how he thought the day went, he said, "It was Number One!" 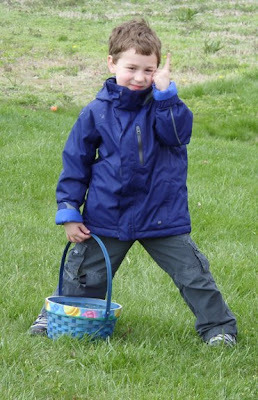 And that was Zack's first Pandemoneum-Style Egg Hunt. Not much time to write tonight, so I thought I'd do an eye candy night! As you can see, I've been playing a lot more with metal, experimenting and playing around, so expect to see more of it in the coming weeks! 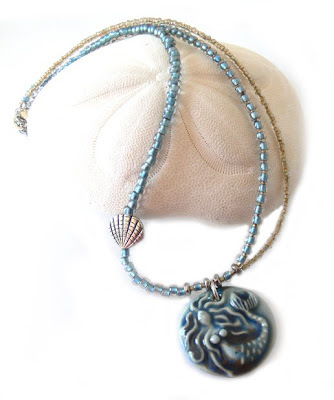 You can visit http://www.lorianderson.net/ to see more of my hand-crafted jewelry~! I haven't shared a book review in a while so I thought I'd share this one. I am a WWII buff and like to read history and historical fiction alike, and this one was absolutely amazing. I also read "All But My Life", which is a fantastic memoir about life during the Holocaust. Amazing story about WWII and how it affects lives -- not just during the atrocities of the war, but afterwards, when the effects pass on to the children. If you are given the chance to save your child by doing things that repulse you, would you do them? And how do you cope with your feelings towards a rescuer who is a monster? The book moves back and forth between Anna's life during the war and her daughter Trudy's current-day struggles. I won't write any more, because to do so would give away the story, and it's a book you really need to read. Give Away & Pass It On - Random Acts of Kindness Alert - my turn to pass this on after participating with Beks. -I make no guarantees that you will like what I make. - What I pick will be just for you. - It'll be done this year (2009). - You have no clue what it's going to be. It will be something made in the real world and not something cyber. 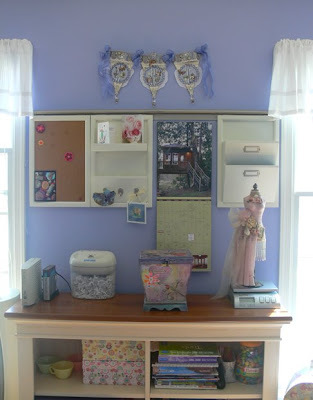 It may be a handmade card, or jewelry, something lovely made out of paper, beads, or a random treasure (like candy!) Who knows? And in return, all you need to do is post this text into a blog of your own and make 5 things for 5 others. Finally! Now that I've gotten the two big shows out of the way, I can get some things on the web site! 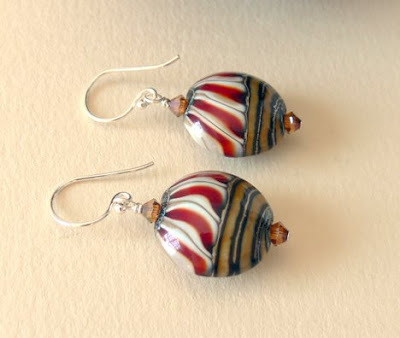 Tonight I added four fun pairs of polymer clay earrings -- each with their own personality. I hope you'll check them out!